A few weeks ago, we attended a demonstration of the C-Pen Reader, a tool designed with students with dyslexia in mind. This device, with its pen shape and an OLED screen with text to speech output, assists those with literacy difficulties to read. It is a simple to use device, whereby the reader runs the tip of the pen over the word or words that they wish to hear spoken aloud. Using realistic speech synthesiser software, the student can hear the text read aloud by the inbuilt speaker or by using ear phones. There is also the option, when a single word is scanned, to hear an Oxford English dictionary definition of the word, and to have the word magnified on screen, useful for those who may have visual impairments. 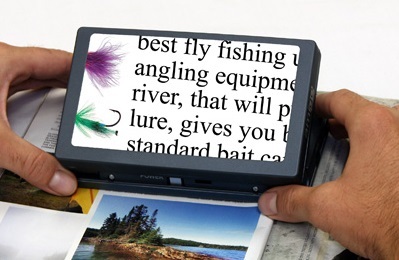 There is also the option to scan and save text to the internal storage in the pen and transfer to a PC or Mac computer for use later, a handy option for those who may not have access to a scanner. While there is a separate version of the pen available, the ExamReader, with limited functionality (i.e. no internal storage or dictionary features) that will meet the criteria for State Exams, the standard pen can be turned into an ExamReader by choosing a locked mode. The C-Pen also works in French and Spanish, while the ExamReader can read German and Italian in addition. There is also the ability to record voice notes on the C-Pen. 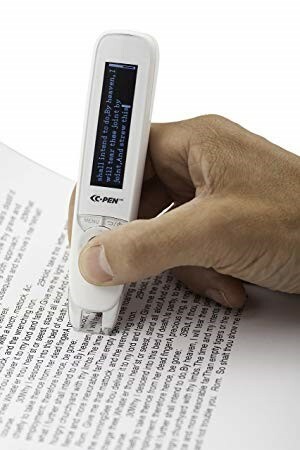 While there are many differing options, both hardware and app based, available for those with literacy difficulties or using English as a second language requiring text to speech functionality, the C-pen has its niche market in the education sector where the use of mobile phone apps or bulky hardware may make the use of text to speech difficult or impossible. The c-pen is a user-friendly option that is easily transportable and can be personalised. More information can be found at www.readerpen.com, and schools and colleges can arrange for a free trial for their students. The C-pen costs €225 ex VAT. Microsoft has been making huge strides in the realm of accessibility with each successive update to Windows and have invested in updates to improve the user experience for people with disabilities. 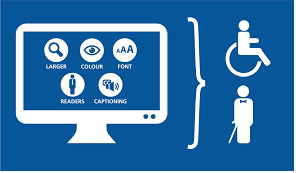 The improvements in their Ease of Access features include eye tracking, the narrator, low vision features, and reading and writing improvements. Eye Control delivers new exciting updates and new tools. For users who can’t use a mouse or keyboard to control their computer, Eye Control presents a convenient entry point to a windows computer using eye-tracking technology. Having access to your computer via Eye Control gives individuals a way to communicate, the ability to stay in the workforce, and so much more! What began as a hack project during a One Week Hackathon, has become a product concept for the Windows team. Microsoft has introduced Eye Control, which empowers people with disabilities to use a compatible eye tracker, such as a Tobii Eye Tracker, to operate an on-screen mouse, keyboard, and text-to-speech in Windows 10 using only their eyes. The New Learning Tools capabilities within Microsoft Edge Microsoft Learning Tools are a set of features designed to make it easier for people with learning differences like dyslexia to read. In this update, a user can mow simultaneously highlight and listen to text in web pages and PDF documents to read and increase focus. Now with the addition of the Immersive Reader functionality of Learning Tools you can photograph a document, export it to immersive reader and immediately use the tools to support your understanding of the text. Narrator will include the ability to use artificial intelligence to generate descriptions for images that lack alternative text. For websites or apps that don’t have alt-text built in, this feature will provide descriptions of an image. Narrator will now also include the ability to send commands from a keyboard, touch or braille display and get feedback about what the command does without invoking the command. 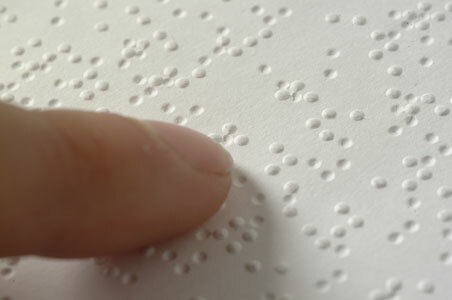 Also, there will be some Braille improvements – Narrator users can type and read using different braille translations. Users can now perform braille input for application shortcuts and modifier keys. Desktop Magnifier is also getting an option to smooth fonts and images, along with mouse wheel scrolling to zoom in and out. It is now possible to use Magnifier with Narrator, so you can zoom in on text and have it read aloud. To start dictating, select a text field and press the Windows logo key + H to open the dictation toolbar. Then say whatever’s on your mind. If it’s hard to see what’s on the screen, you can apply a color filter. Color filters change the color palette on the screen and can help you distinguish between things that differ only by color. To change your color filter, select Start > Settings > Ease of Access > Color & high contrast . Under Choose a filter, select a color filter from the menu. Try each filter to see which one suits you best. Read the full Microsoft blog on the accessibility updates in Windows 10 Fall Creator. Fair play to Microsoft for investing so heavily in developing their Ease of Access features. Today May 18th is Global Accessibility Awareness Day and to mark the occasion Apple have produced a series of 7 videos (also available with audio description) highlighting how their products are being used in innovative ways by people with disabilities. All the videos are available in a playlist here and I guarantee you, if you haven’t seen them and you are interested in accessibility and AT, it’ll be the best 15 minutes you have spent today! Okay the cynical among you will point out this is self promotion by Apple, a marketing exercise. Certainly on one level of course it is, they are a company and like any company their very existence depends on generating profit for their shareholders. These videos promote more than Apple however, they promote independence, creativity and inclusion through technology. Viewed in this light these videos will illustrate to people with disabilities how far technology has moved on in recent years and make them aware of the potential benefits to their own lives. Hopefully the knock on effect of this increased awareness will be increased demand. Demand these technologies people, it’s your right! As far as a favorite video from this series goes, everyone will have their own. In terms of the technology on show, to me Todd “The Quadfather” below was possibly the most interesting. This video showcases Apple’s HomeKit range of associated products and how they can be integrated with Siri. My overall favorite video however is Patrick, musician, DJ and cooking enthusiast. Patrick’s video is an ode to independence and creativity. The technologies he illustrates are Logic Pro (Digital Audio Workstation software) with VoiceOver (Apple’s inbuilt screen-reader) and the object recognizer app TapTapSee which although has been around for several years now, is still an amazing use of technology. It’s Patrick’s personality that makes the video though, this guy is going places, I wouldn’t be surprised if he had his own prime time TV show this time next year. AT Surveys in the UK and Ireland: What do they tell us? And what do we still need to learn? In May 2016 the accessibility team responsible for the GOV.UK domain posted a survey looking for information about the types of Assistive Technology (AT) people visiting the site were using. GOV.UK is the central online hub in the UK for all government services and information and as such, it takes accessibility very seriously. The survey which was open for 6 weeks, was answered by over 700 people and has produced some interesting results. You can read a post on their blog with all the results here. Around the same time here in Ireland, Enable Ireland and the Disability Federation of Ireland conducted their own online AT user survey which also had some interesting findings. You can read more about that here. Before comparing the results we must first highlight that we are not comparing like with like here. The UK.GOV survey was at heart about accessibility: the information we learn about AT is in the context of accessing a website whereas the Irish survey was seeking to find out about the range of AT which people use, and their experience in securing it through public or private funding. This will obviously skew the UK.GOV sample towards software solutions (they don’t appear to have asked about hardware like alternative input devices) to support computer access, literacy and visual impairment. Taking this into account what does stand out is the amount of “premium” AT solutions identified as being used in the UK. 29% of those responding to this survey used a screen reader and of these just under 40% identified JAWS as being their solution of choice. 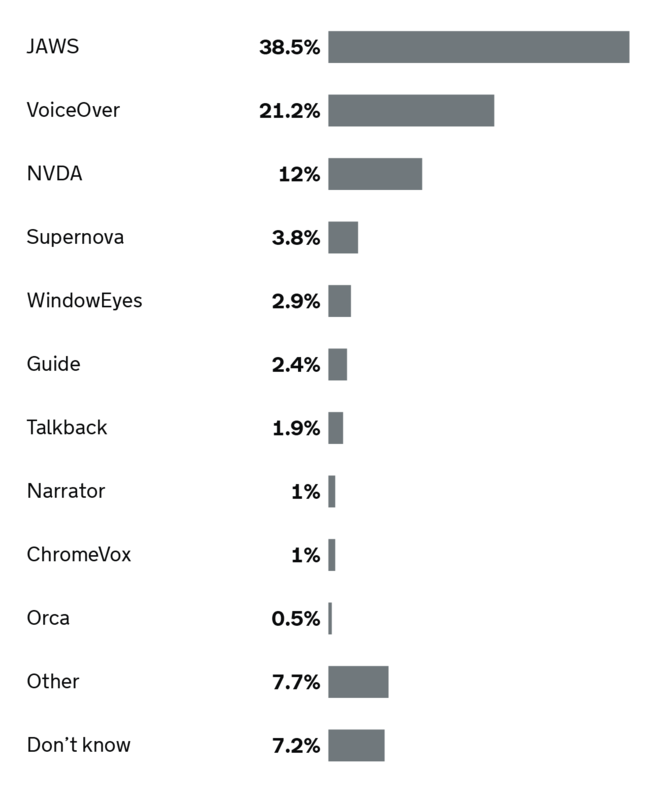 VoiceOver was next (but by far the most popular choice for mobile users) followed by just 12% using the free Open Source NVDA. (See graph below). About 30% of respondents use magnification software, and almost 70% identified high end proprietary solutions like Zoomtext (54%), Supernova (11%) and Magic (4%). Within magnification the lack of a credible open source alternative could help to explain the result. There is a similar situation within literacy support software with Read & Write from TextHelp accounting for almost 70% of the total. Finally it’s no surprise that various iterations of Dragon Naturally Speaking from Nuance accounted for almost 90% of speech recognition software. Do these results tell us that there is a thriving market for high end proprietary AT software in the UK? Maybe not, it’s far more likely that the people responding to this survey were professionals working in a corporate enterprise type environment which might favour proprietary over open source or inbuilt solutions. In terms of cost of AT, the surprise result of the Irish survey was that 62% of AT solutions cost less than €1000 and the UK.GOV results seem to be similar. JAWS and possibly some versions of Zoomtext would cost in excess of €1000. However, all other solutions identified here would come in below that. It’s interesting to see both the U.K. and Ireland attempting to gather current data on AT use. What these surveys highlight most of all is the need for more comprehensive data gathering to enable us to plan for the future, across the life span: from early childhood to old age. Assistive Technology is a tool for all, but still, far too few people who could benefit from it, are aware of it, or know how to apply for funding for it. The European Parliament has approved the directive on making the websites and mobile apps of public sector bodies more accessible. This means that people with disabilities – especially persons with vision or hearing impairments – will have better access to the websites and mobile applications of public services. The updated version of the directive adopted by the Council in July 2016. The directive will soon enter into force, and Member States will have 21 months to transpose the Directive into national legislation. The rules encoded in the directive reflect the Commission’s ongoing work to build a social and inclusive European Union, where all Europeans can take full part in the digital economy and society. The text of the Directive covers websites and mobile apps of public sector bodies with a limited number of exceptions (e.g. broadcasters, livestreaming). This is a crucial milestone to achieve an inclusive digital society in which people with disabilities and other users have access to online services and information on an equal footing to other people. Member States shall ensure that public sector bodies take the necessary measures to make their websites and mobile applications more accessible by making them perceivable, operable, understandable and robust. For example for someone who is blind this will mean that public sector websites and mobile applications will have text alternatives for non-text content i.e. short equivalents for images, including icons, buttons, and graphics and description of data represented on charts, diagrams, and illustrations. Or for someone with dexterity issues all functionality that is available by mouse is also available by keyboard. This will help people using alternative keyboards and people using voice recognition. Content will also have to be well organized which will help users to orient themselves and to navigate effectively. My name is Christina, I’m twenty-five, and I’ve been blind since birth. Being born three months early can mess with a person’s retinas. To say that technology Is important to me would be a massive understatement – I honestly wouldn’t have been able to manage in mainstream education without it. It‘s actually over 200 years old. It’s Braille. (think of the number six on a dice). For me, Braille is my ink. Braille, Despite its age, has been built into new technology just like many other adaptations; For example, I’ve gone from using a Perkins Brailler, which is basically a typewriter with only six keys, to a Braille display, which converts the information on a computer screen into Braille (I’m not an engineer, so I don’t understand how that’s possible). You can even turn on a setting on an iPhone which allows you to type in Braille – that’s pretty good for a system that’s been around since 1809. I’ve used Braille for everything since I was five – library books came through the door in big bags, like pizza delivery bags; they even had children’s magazines, which became teenage magazines. It didn’t matter that the title wasn’t exactly the same – the content was what mattered. All through college, especially because I studied languages, Braille helped me hugely to learn spelling and grammar. If I want to remember something, I find the physical act of putting pen to paper, so to speak, helps me to memorise. So to sum up, Braille is more important to me than all modern technology – because for me it’s part of every piece of modern technology. Here is a nice guide put together by JISC in the UK. 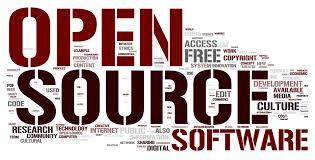 It’s a guide of Free and open source software (FOSS). Many FOSS tools can benefit learners and those with (or without!) a disabilities. There are thousands of tools available. On the guide the tools have been grouped by type so that they may be of benefit for specific purposes or needs. For example Audio tools to enable you to record and/or listen to material or Display enhancement tools to need help with either displaying or working with text and graphics. Before downloading any free and open source software we recommend keeping your computer secure using antivirus software. For many years, screen reading solutions (both for synthetic speech and refreshable Braille) have been available in English and in other major world languages. These solutions have allowed blind people to operate a PC, and thus benefit from all facilities that can be accessed on a PC, at home, in education and in the workplace. Such solutions have not been available in Irish until now! 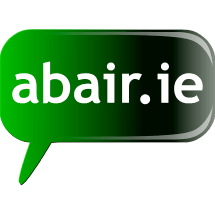 The ABAIR team are now in the testing phase of a major new development taking place regarding accessibility to the Irish language for people with a visual impairment. The NVDA screen reader has been enabled for Irish. NVDA, which is a high-quality, free open source screen reader (www.nvaccess.org), has been enabled to support Irish in a number of ways. This Irish solution is now in its final testing phase. Very importantly, the entire software solution is available free of charge. The synthetic speech sounds like a native Irish speaker. A PC user with a Braille Display unit can display and read Irish text in Braille. All NVDA’s menus, dialog boxes and messages can be displayed in Irish. ABAIR is actively looking for anyone who would like to test this system. Feedback from users is essential to continue to develop and improve all aspects of this Irish solution. Please contact ABAIR at abair@tcd.ie if you would like to try out the system or if interested in getting involved in this research. ABAIR is an initiative in Trinity College, Dublin, funded by An Roinn Ealaíon, Oidhreachta agus Gaeltachta, and by the NCBI-ABAIR project. NCBI will be hosting its annual technology roadshow from the 22nd to the 24th of October in three locations around Ireland. Suppliers of assistive technology and low vision aids as well as low tech aids for independent living will exhibit products that can be of aid to the vision impaired in the home, school and work environments. It’s a good opportunity to see what is available. How to be Blind is a community driven website with multiple podcasts and blog posts on a variety of subjects. These can cover subject such as techniques and advice for dealing with recent vision loss to discussion on the latest in the world of technology and accessibility. They regularly cover accessible apps and programs and have a growing list of accessible apps and programs for Android, iOS, Windows, and Mac. You can view this on Accessible Apps. Apps are broken into categories by device then listed in alphabetical order with a short description of what the app does. Most of the apps listed have been covered and discussed on the HTB2 blog and podcast.